Just a few kilometers outside of the City of La Ceiba you will find a magical corner in Planet Earth. It is not common to find such unique, truly beautiful places close to an important city and easily accessible, but this is a true exception! The Cangrejal River Valley is a small valley that was formed by the Cangrejal River, a lovely river with rushing waters that seem to be in a race to make it from the headwaters high in the rugged Nombre de Dios Mountains to the lovely Caribbean Sea. The Cangrejal River is actually quite a short a river, only 32 kilometers long, it is born as the result of the merging of four large creeks in the Yaruca Valley, at an altitude of 265 meters (875 ft) above sea level. Within only 30 kilometers, it must drop from this altitude, rushing through canyons, huge, building size boulders and mountain slopes that are teeming with wildlife typical of a dense tropical rain forest. The River actually acts as a natural boundary between two National Parks, Pico Bonito and Nombre de Dios National Parks, both part of the National Park System of Honduras. Access to the Cangrejal River Valley is easy, as there are several small communities along the river, the most important of which are El Naranjo, Las Mangas, El Pital, Rio Viejo and Yaruca. Without doubt, the nicest part of the Cangrejal River Valley is located between the City of La Ceiba and the community of Las Mangas, which also includes El Naranjo. It is here, in this area, where you can find a variety of charming eco lodges and adventure tour outfitters that are friendly, affordable and unique. A total of 10 lodging options are to be found within this area, as well as a total of 4 tour outfitters and operators. At least one of the lodges is owned by the community, which makes for a great option if you are looking for community based tourism. For a complete list of the lodging options, visit www.cangrejalriver.com. The Cangrejal River Valley is perfect for either an adventure experience or an immersion in nature, or even better, both! Activities available include unique class III and IV white water rafting, hiking, bird watching, zip line canopy tours, horseback riding and more. In addition, thanks to the short distance, and a relatively good road, other nearby sites of interest are very accessible, such as Cayos Cochinos, Cuero y Salado, Sambo Creek, etc. The largest cluster of tourism related businesses is located between km. 7.5 and km 9 of the La Ceiba to Yaruca road. Here you will find a total of 7 of the 10 lodges. La Villa de Soledad is right in the middle of this cluster, giving you easy access to all the activities. This lovely small boutique bed and breakfast has gotten raving reviews from its guests on trip advisor. It was honored with the 2014 Travelers Choice Award as well as with a Certificate of Excellence for 2014. We are working hard to keep making or guests happy and helping them have a vacation experience that they will cherish for many years to come! 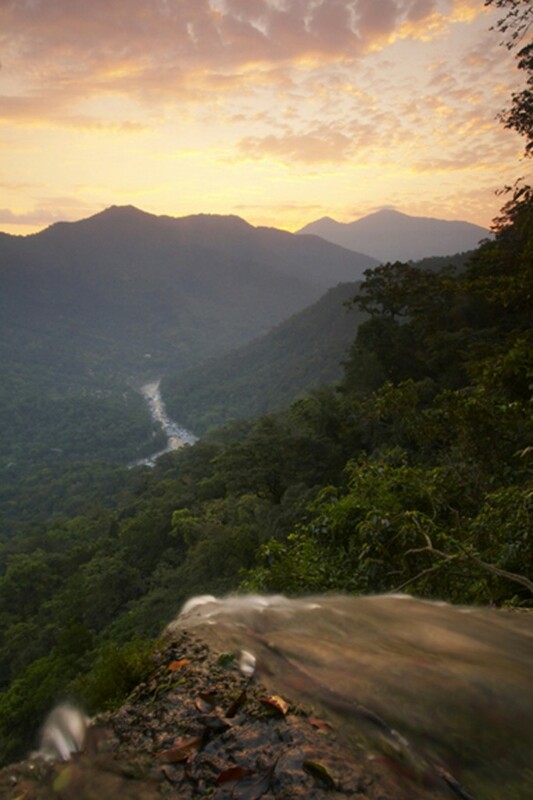 Come discover the Cangrejal River Valley, and relax in nature at La Villa de Soledad!